I mentioned last week that I tried Milk Paint for the first time and loved it. It was so fun to do something different that the norm for me. I rarely use a brush and I have to say, painting with a brush makes me feel like I'm creating a piece of art. Spraying is different - it takes a lot of practice to spray a finish correctly, but it doesn't feel as creative. So this piece was quite a treat for me. (Aaaand - it's available for purchase. Email me for pricing and a shipping quote nattycox@gmail.com). 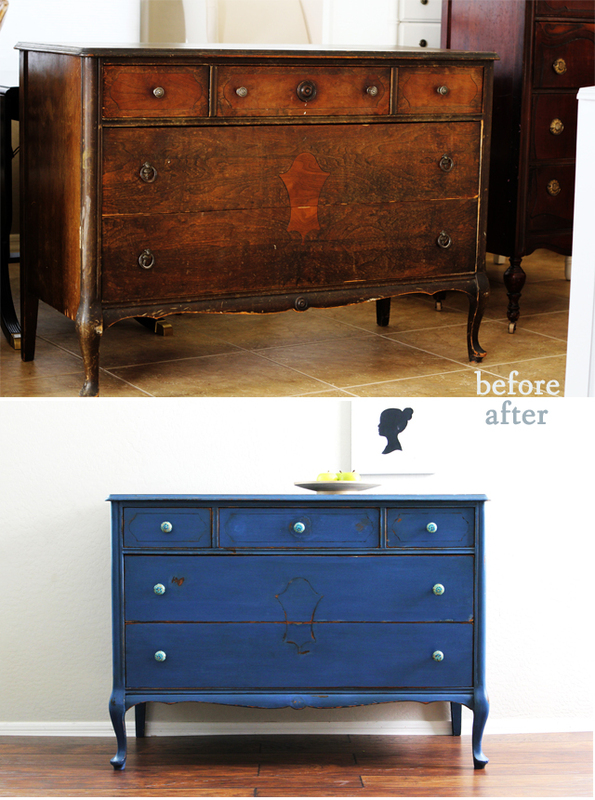 I picked up a couple antique dressers that were too weathered to refinish like I typically do. 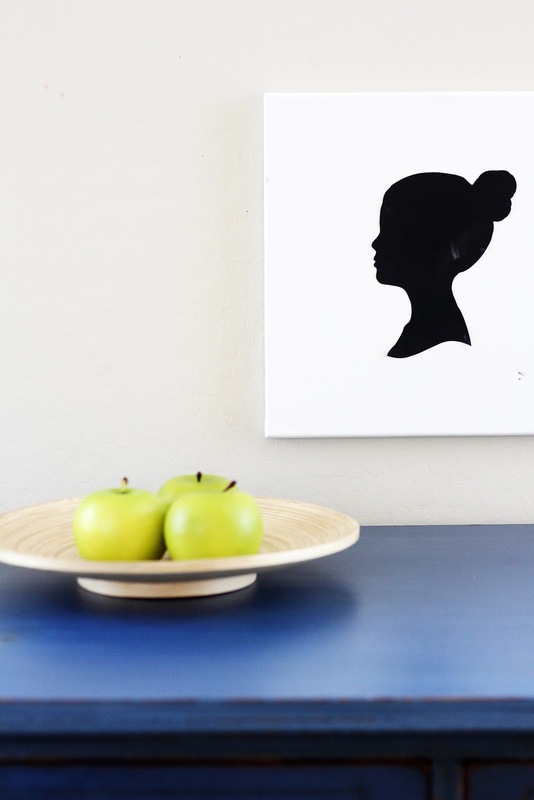 I wanted their age to enhance the piece, not detract like it would with glossy paint. I turned to milk paint for that reason. The color is Federal Blue. I was looking for more control over the distressing so I added the optional bonding agent to the powder. 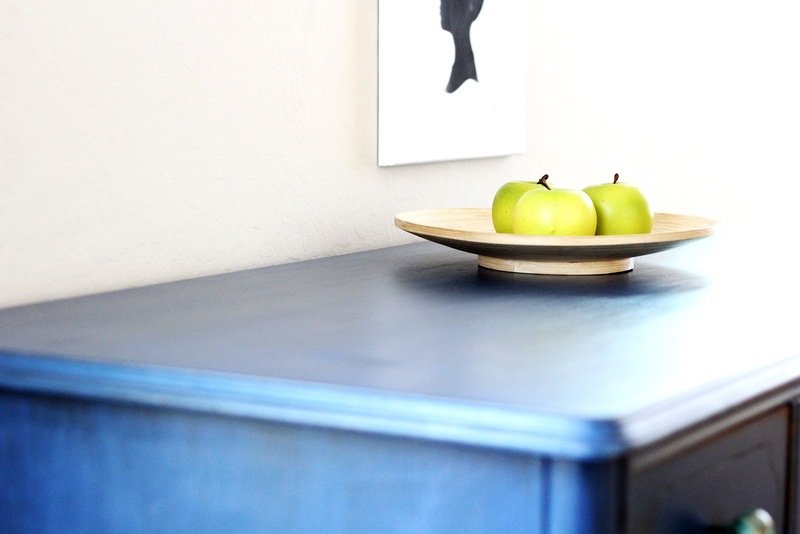 (Milk paint comes in powder form that water is added to). If you skip the bonding agent the paint will flake and distress much more rapidly in a way that's unpredictable. Whether or not you ad it is up to the look you're going for. I skipped the wax that most use as a finish coat with this paint and went with an oil based urethane instead. (I'm working up a separate post for that). You can find a local retailer for Old Fashioned Milk Paint here. I love this color and the dresser looks amazing. I might have to give in and try some milk paint! Thanks, Helen! You'll love it and it's super cheap - total bonus! GORGEOUS! I love everything about it - the color, the style - you name it. Perfection! Gorgeous! You really are an artist and have such a way with color and you're amazingly talented. Everything you do is perfection! It's always fun to see one of your new creations. I love the look of milk paint and totally agree about using a brush!! I can't find it in me to spray my frames because I enjoy painting with a brush too much! I would love to hear more about your choice in finish. I use the wax all the time, but am wondering if there is a better option. We will need to chat!! Love the dresser!! Once again, you are amazing! I love that blue color! I haven't used milk paint, but I think I would use the bonding agent too, just to have more control. I have to ask... where in the world do you find such great furniture to work with? Certainly not at the Goodwills I troll through... The dresser is beautiful - great work! 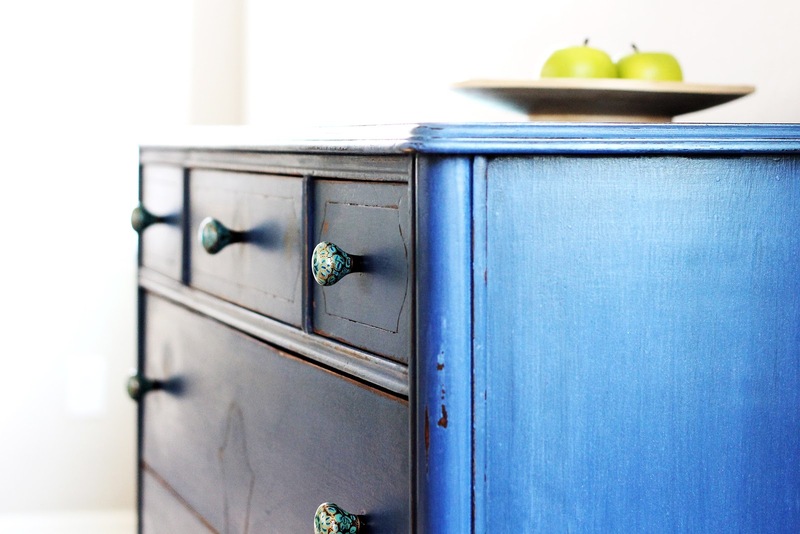 I am dying to try miss mustard seeds new milk paint. Wow, that looks amazing! Great job really. I love your blog and check in on a regular basis. I love all your work. I haven't tried milk paint yet. I just figured out how to make my own chalk paint. I will post on it soon. Be blessed! This is gorgeous! I absolutely love your work! 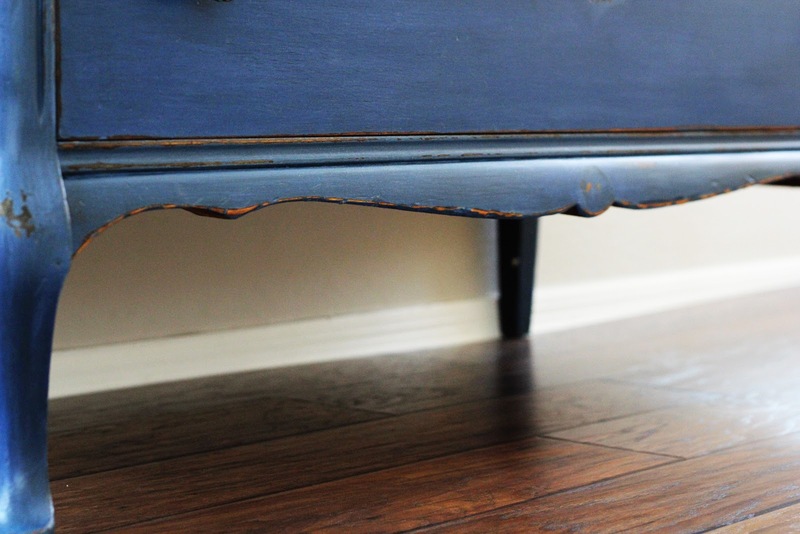 I use mostly chalk paint, but I HATE waxing the furniture after I've painted it - I just can't seem to get it right. I'd love to see a post about the urethane top coat and maybe try it out on one of my pieces! This is the exact finish I have been dreaming up for my bedroom makeover! 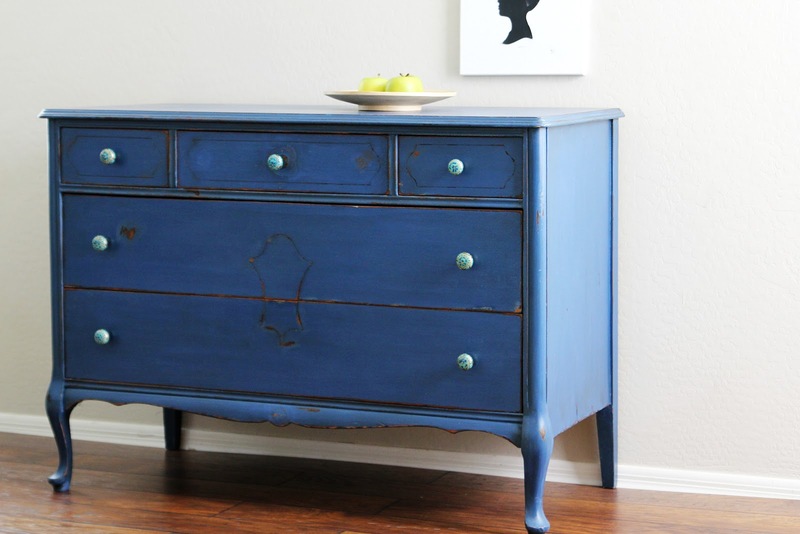 Thanks for sharing the stores that carry this Milk Paint! Found you on Too Much Time!